EagleFish Yoga is coordinating a full day of outdoor yoga for for International Day of Yoga if you would like to participate, plan or party. This Meetup group was inherited by the past organizers, BeInAweYoga.com, who were allowing the group to expire June 2015. About BeinAwe Outdoor Yoga Studio, North East Ann Arbor. WELCOME! 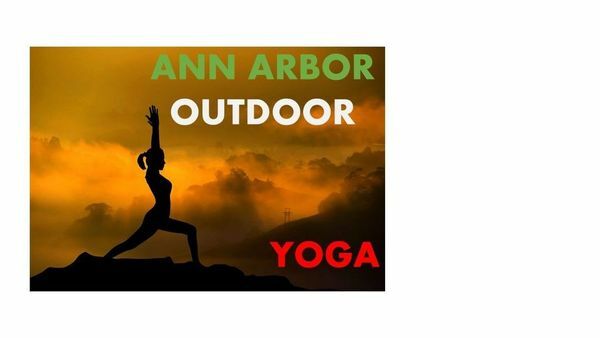 Thank you for joining Ann Arbor Outdoor Yoga Meetup, AAOYM ('aaUUMm', or something like that). We are a Rain/Shine program, usually at County Farm Park Saturday mornings (if Rain use Medford St entrance and Pavilion; if Sunny, use Platt side entrance and stage). Quick rule of thumb and easy pattern to remember for our class schedule. Mon AM; Thur PM; Sat AM + mid AM. What's new for 2017! ALOT!! We are featuring downtown Ann Arbor classes late summer, early fall !! • Tibetan 5 sequence to build strength, flexibility, balance, and endurance to help first time yogis work up to dynamic Sun Salutations. This supports yoga by DOSHA. • INTERNATIONAL YOGA DAY celebration • Our schedule is to provide community classes every other week as we interview yoga teachers. • Clear policies:a) Yoga Class START Time Policy, b) Member PHOTO Policy c) CANCELLATION & REIMBURSEMENT Policy Read below for featured classes, and policies for class start times, class cancellations, and member face pic photograph requirement to promote community and enhance online trust and security. As a member, you and only you members can read the time, place and instructions for the yoga class or event unless posted on Facebook. We were migrating to Facebook only until Meetup.com rejuvenated their website and provided a mobile app. Featured classes for April and May 2017 are actually Indoors to avoid problems with rescheduling due to rain. If you would like to suggest charitable 501 3C organizations to be recipients of donations June through September 2017 please share and suggest them with us. For April and May we are supporting a Suicide Prevention group. For June we are supporting Alzheimers Awareness. For July we are supporting the Homeless. If you would like to be on a charitable organization board , we are recruiting our board now! We also have a seasonal indoor group, Ann Arbor Indoor/Studio Yoga Meetup.com. See you there. The facebook friends and like or followup photo pic policy is more relaxed, but is less community and more advertisement and payment is not accepted via facebook. Why you need to be exercising outside?